Set in a dark gothic fantasy world where humanity faces a constant threat from the Sidhe, fairy tale creatures which constantly push to take the rest of the world from them. The three remaining Kingdoms have formed a very loose alliance to stand against them but are separated by the large almost impenetrable wild of Woods and mountains. The Sidhe live in the wild places beyond the boundaries of civilisation, always seeking to gain more ground and change them to their own strange magical mystical realm. Typical Sidhe lands include woods, abandoned villages, strange old buildings, Fae circles; these are incredibly dangerous. 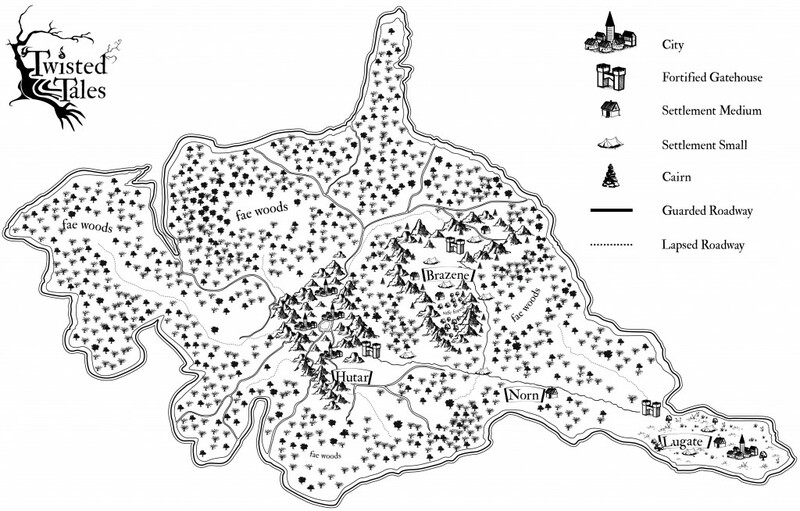 The Sidhe realms separate the three human kingdoms from each other by a giant stretch of forests and mountains. There are paths cut through these guarded by the troops from all three Kingoms under treaty and even isolated villages of those brave or desperate enough to live there, or too foolish to know better. These are maintained because some of the most important resources that allow the practice of alchemy can only be found in the Sidhe Realms. No one dares travel upon the sea for this is the realm of the strange Kraken and other monsters. Only the few paths through the forests let the Kingdoms of man reach each other and trade. If they were ever to fall then the Sidhe would be able to defeat each kingdom separately and the Fae would finally own the world.